The Hot Pot is working very well for my class of 3rd graders. Being in SF, & an early start school 7:50-1:50, cooking hours are limited. On a good day, we can get 5 hours of cooking time. 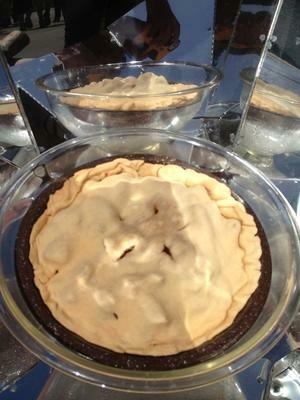 So far, we've cooked, applesauce, cornbread & double crust apple pie. We served all 3 for Open House tonight & all that was left were crumbs! The Hot Pot's brilliant surface & well designed double bowl heat up quickly, we can see how things are progressing through the glass lid and I really like the way the Hot Pot folds up easily & compactly for storage. 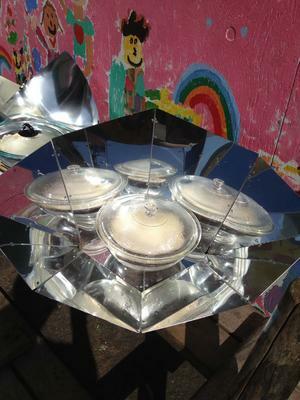 Thank you for the updates and progress with your Hot Pot Solar Cooker and its many results. This should be very inspiring for others and hopefully more teachers and students. Join in and write your own page! It's easy to do. How? 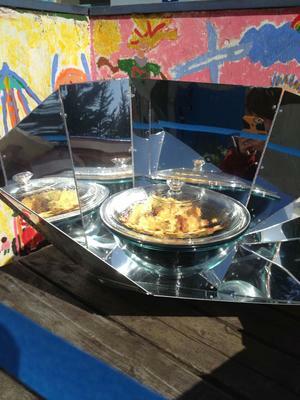 Simply click here to return to Do you own this solar cooker?.